My father was a Navy veteran stationed in East Samar during WWII. He had fond memories of the people he met there, and of their generosity and hospitality. 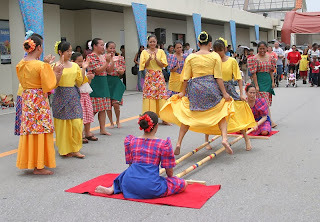 Philippine Cultural Dancers: Kadena Air Base, Japan. Photo: Senior Airman Nestor Cruz: Wikipedia Commons. When he was not censoring mail, my father planted a large vegetable garden near his Quonset hut and shared his produce with the Guiuan Peninsula residents whom he befriended. They also shared their native culture and foods with my father, who was a gregarious butcher by trade, and an amateur chef by avocation, when he could pry my mother out of her kitchen back home. 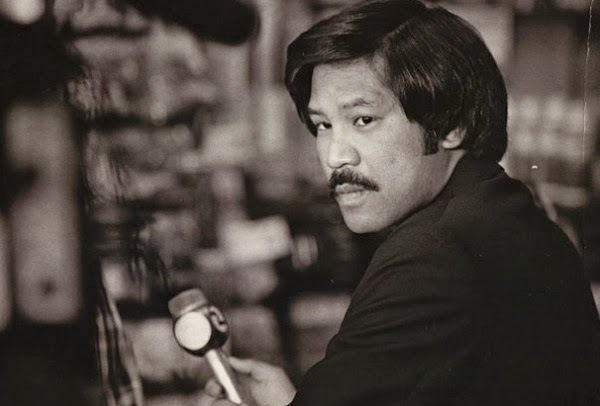 Many years later, at every holiday family gathering, my father spoke fondly of his time in the Philippines and the wonderful people he met there, entertaining our family with his many stories and memories. I became curious about our Filipino heritage here in Silicon Valley, when I realized that Guiuan, where my father was stationed, was hit by the recent Typhoon Haiyan and its destructive storm surge, which caused so much devastation in that region. My father would have been so sad to learn that descendants of the families who were so kind to him when he was so far away from home, had been so impacted by this recent natural tragedy. Likewise, the year before my mother died, she was brought bowls of pancit by visiting Filipino members of her former work community in Northern Silicon Valley. It had become one of her favorite foods from their potlucks at work. I am dedicating this column to Filipino families in our valley, who are now are suffering such tragic losses and challenges in grieving, locating or aiding their families back home, and who by extension, have been so kind to me and my family, among others they have touched in our community. Their tragedy is our pain, and we will stand by them until their suffering is eased. The first permanent settlement of Filipinos in the United States was comprised of escaped sailors who had been pressed into service on Spanish galleons. 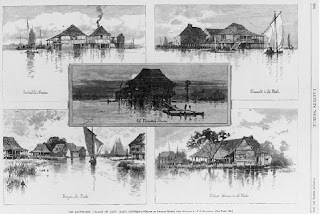 These escapees settled in "Manila Village" (Barataria Bay, Louisiana) around 1763, although Filipinos were said to have arrived earlier in Morro Bay, California, on Spanish galleons, sometime around 1587. Migration to the United States began after the Spanish-American War, when the Philippines became a territory of the United States and Filipinos were exempt from immigration laws. Many early Filipino residents of California were agricultural workers, yet some were students (primarily men) sent as “pensionados,” through a Philippine Commission appointed by President McKinley in 1901. The commission scholarship program for student immigration was active between 1903 and WWII. 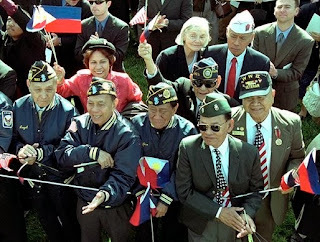 After the war, The War Brides Act of 1945 and Alien Fiancées and Fiancés Act of 1946, allowed 16,000 Filipina war brides (and one groom) to come to the United States to be married. Many early nuclear families were located near Navy, Army, and Air Force bases, where some Filipino communities still reside today. 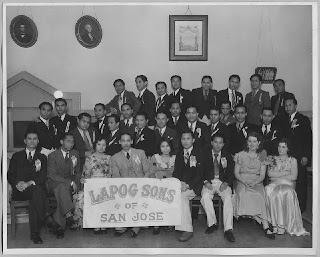 For a wonderful online collection with San Francisco photos of Filipino life in the 1950’s, please see The Alvarado Project Exhibit: Through My Father’s Eyes. From 1965 and into the 1990’s, the Family Reunification portion of the Immigration and Nationality Act of 1965 allowed many highly skilled and educated Philippine natives to enter the United States. Filipinos provided the US with a high proportion of health care professionals, and Filipino nurses were highly sought after by other countries, since there were nursing shortages both in the US and worldwide. Like many other cultures, Filipino Americans were subject to early prejudice, which caused them to settle in what were called “Little Manilas,” communities centered around larger urban cities, which would eventually disperse in later years. In California, Filipino Americans intermarried more and clustered less than in other areas of the country, and seemed to own more businesses. AWOC/ UFW leaders Larry Itliong & Philip Vera Cruz. Photo by Tim Biley: Wikipedia Commons. Some Filipino American agricultural workers were very active in the early farm worker movement in Northern California. Larry Itliong and Philip Vera Cruz, co-founders of the Agricultural Workers Organizing Committee (AWOC), which had already mounted a grape strike in Delano, merged with the National Farm Workers Association founded by Cesar Chavez, whose NFWA group walked the picket line in solidarity with AWOC workers. The merged group became known as the United Farm Workers Association, whose goals were to increase their impact in achieving a shared vision of equity and respect, and to obtain unemployment insurance for farm workers. UFWA later evolved into a farm workers’ union under the AFL-CIO, and was renamed the United Farmworkers Union. 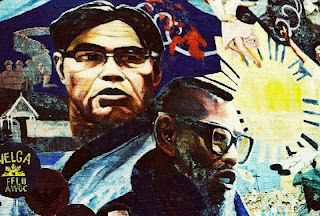 The work of Larry Itliong and Philip Vera Cruz, when allied with Cesar Chavez, benefited all Filipino groups and opened many doors for later generations. Filipino American’s today maintain above average higher education rates, with most students gaining a Bachelor’s degree and advanced degrees in the fields of education and information technology, and in all health-related fields. The American Medical Association reports that Filipino Americans are the second largest group of foreign-trained physicians in the United States. 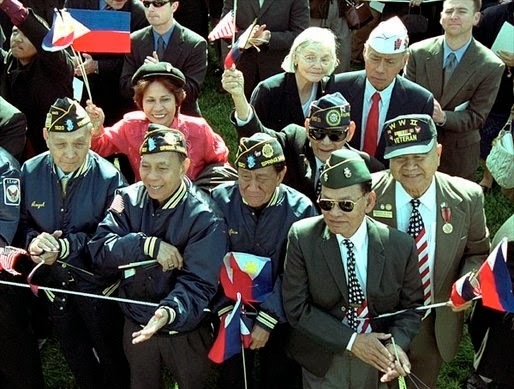 Likewise, Filipino Americans are the second-largest Asian American group in the United States (after Chinese Americans) and generally enjoy a longer life expectancy than most other Americans. 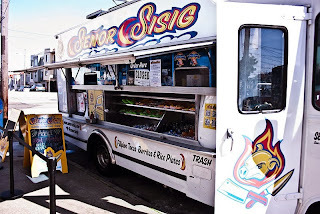 Bay Area, Señior Sisig Filipino Fusion Truck. 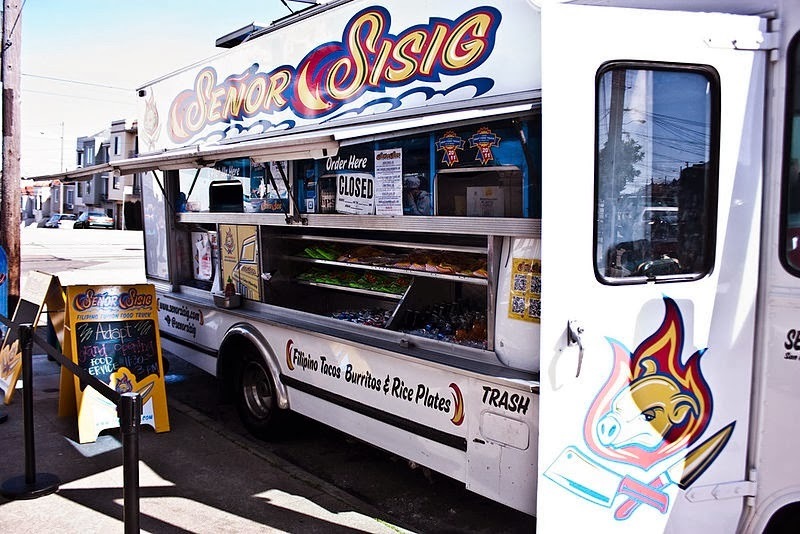 In the Silicon Valley region, the 2010 US Census reported 105,403 persons of Filipino descent are among the 1,836,911 residents in this area, or 5.73% of the total valley population. In contrast, the entire San Francisco Bay area (San Francisco and Oakland, South to Fremont) has 287, 879 Filipino residents among 4,335,391 total residents, or 6.64% of the total population in this region. The Filipino American National Historical Society (FANHS) Santa Clara Valley Chapter has more information on the history of local Filipino Americans in our valley. The Filipino AmericanChamber of Commerce of Santa Clara County also has resources for tapping the wealth of experience in the Filipino community of Silicon Valley.